Complete the form or give us a call to receive a free quote on installation of windows, siding, patio doors, soffit, fascia, and / or gutters on your property in Chicago or suburbs. much nicer and more knowledgeable than the other guy who also gave me an estimate. I didn’t pick Edward because of his better price which was actually a couple hundred bucks higher but because he knew what he was talking about and didn’t try to sell me things I didn’t need. I was originally set to replace siding on just a rear, damaged wall of my garage but the old one has faded so much that we couldn’t find anything even remotely resembling that color, so I decided to have the whole thing done. I’m sure that anyone can achieve perfection over time and I’m absolutely sure that those guys have been doing it for a very long time. It was a pleasure to pay for my stupidity. two of our contractor friends evaluated the extent of damage we decided to call EDMAR for another opinion. Unfortunately Ed just confirmed that repairs would need to be very extensive, most likely even exceeding the new window installation cost. There was also a question of possible frame damage inside the wall so we decided to play it safe, remove all windows including frames, and install new ones. They gave us very good deal on vinyl windows with lifetime warranty and did excellent job on installation inside and out. We also signed with them a new siding installation contract for the beginning of April. If you’re shopping around for new windows you should give EDMAR a call. of my rear porch windows and ripped off a few pieces of siding when falling down. Siding damage was very painful because I just had it replaced last fall, as for my windows, although they were old, I’m happy I couldn’t afford to have them changed at that time. Long story short, my nephew recommended EDMAR for the repair job since they have finished working on his house in March. It was really a very small job when I look at it now, they took out those old broken windows, put in two new ones, and installed 3 siding panels. Fortunately my windows were standard size and available without special ordering, I also had 5 pieces of siding left from the installation last year so I didn’t have to look for that either. They were in and out in a couple of hours, left my back porch clean and brand new looking. Good job! for taking such a good care of my living room window. You have a wonderful crew of people who really know their jobs. They kept my place clean during the entire installation and even replaced some of the old, stained window trim. I now have extra space to put my flowers and more light coming to the front room. It was nice to have professionals working for me. I really appreciate it. High quality, energy efficient windows in various styles - custom made for your new home or remodeling project. An instant house beautifier and one of the most essential products protecting your property from elements. Traditional and contemporary patio door designs engineered for years of performance. Much needed house attic ventilation delivered in low-maintenance beautiful finishes for eaves and overhangs. Critical component of your house’s roofing system and an essential element protecting its foundation. Educational content from manufacturers and some field videos from our installation projects. 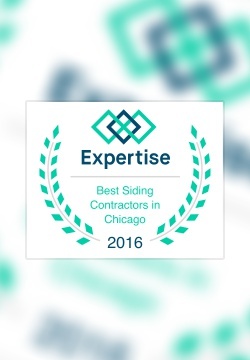 Welcome to EDMAR Contractors Inc. website where we showcase our Chicago window installation and many other exterior home improvement services. We’ve been crafting beautiful exteriors for Chicago home owners since 1985 and their beauty is just a small part of what the home improvement process is all about. The biggest benefit of installing new windows, siding, and sliding doors in your Chicago home lies in significant energy savings and site drainage improvement that comes with properly installed new roof gutters. Quality vinyl, wood, aluminum, or clad replacement window installations will prevent conditioned air from leaking outside and hot or cold air from infiltrating your home’s interior. Replacement of your old siding with a popular vinyl, cement fiber or wood siding, and an additional layer of insulation underneath, will help further lower your heating and cooling expenses through the year. Old, leaky sliding or French patio doors are also responsible for major leaks of your conditioned air from inside your home. We’ll help you choose the right set of patio doors and professionally install them for you. Corroding, leaking gutters and deteriorating trim can be liable for a variety of small or sometimes even huge disasters in your home. Once you spot a problem, it may already be too late. The key elements of a perfectly functioning exterior of your home are seamless gutters with downspouts directing water away from the foundation of your home, and soffit and fascia providing protection from moisture intrusion and attic ventilation at the same time.